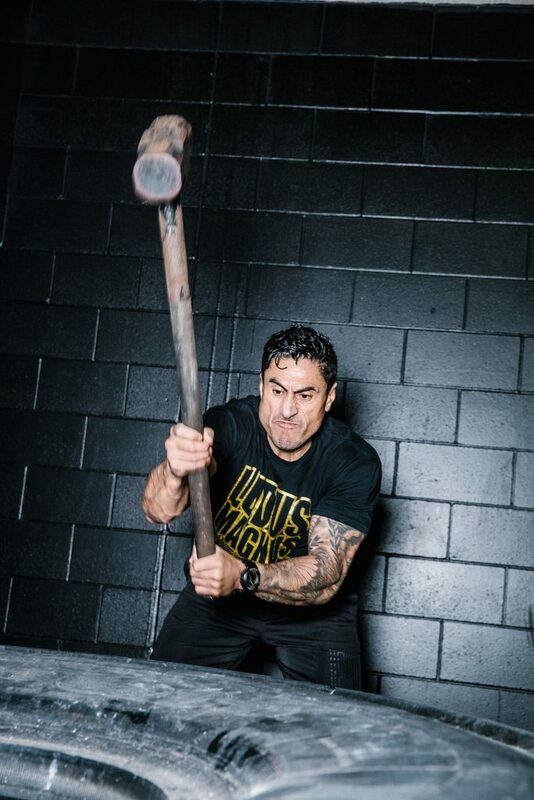 As far as bucket lists go, Joe Naufahu must have a pretty impressive one as he has ticked off a few things that most mortals could only dream about. He has played professional rugby. 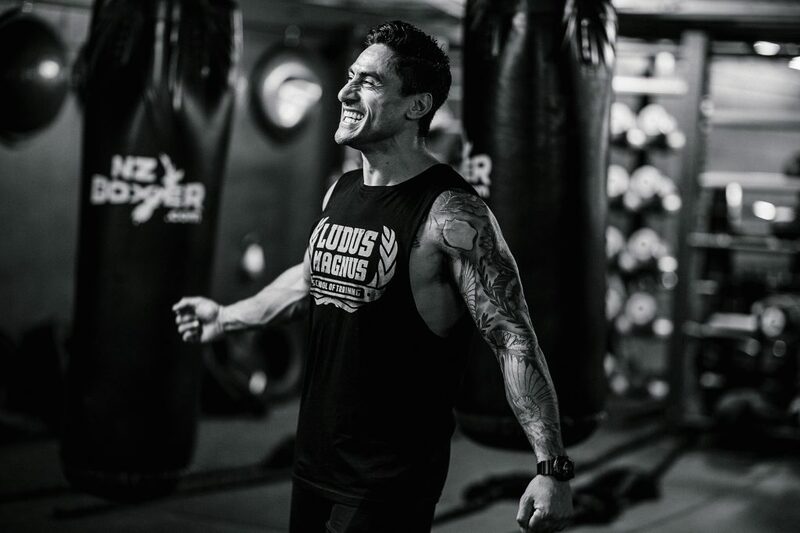 He is the founder of Ludas Magnus, a gym and a community that has changed the lives of many New Zealanders over the last 9 years. He’s starred as Kahl Moro in Game of Thrones. 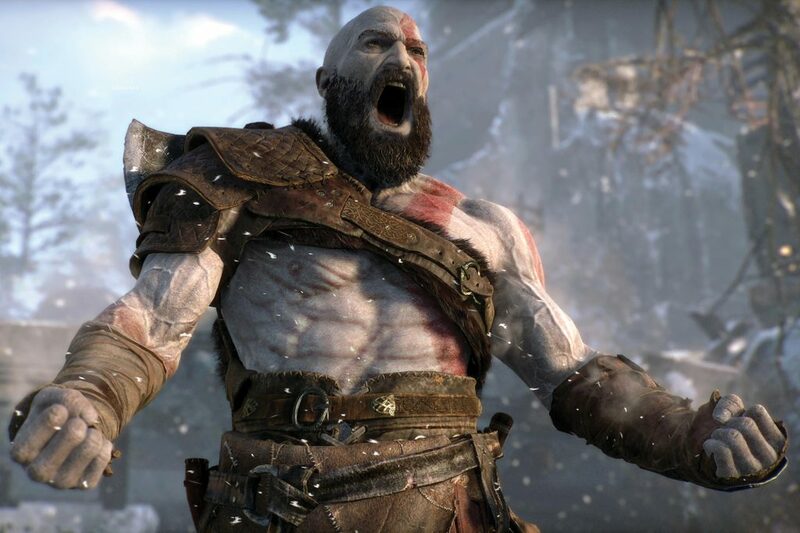 And his latest “check” is working with PlayStation to develop a fitness workout for the God of War. As you do. So not only are you juggling your own business with early starts and family and you have got TV and things with PlayStation. How do you juggle everything? How do you focus on what you are meant to? I am pretty disorganised to be honest. My girlfriend helps me out with a lot of stuff. She keeps me on track. I guess I just run on energy. The day ahead I know I will usually have it fully booked and I’ll just usually bounce from one thing straight into the next. It is just, I guess, trying to plan everything and keep everything in terms of time management on point. And just having good relationships with people, so that you can work with timing. I guess something that I’m constantly working on myself is just that time management thing and planning, which I am not a natural at. I know I just need to try and get things done. So you work on the planning and the relationships. What else is the success of your business? I think just having a passion. Like a love for what you do. Every morning I wake up and I’m excited to get to work. Not once in the time since setting Ludus up have I woken up and gone, “damn it”. Every morning I wake up and I’m excited to come in and I’m excited to train people to see the changes and the results and the changes that they are making. It is a tough industry. You kind of have to have that passion for it. The ones that are in it for the wrong reasons don’t last very long and you know, it looks glamorous from the outside, but it is not. It is a really tough industry. You have got people like this that come in and work hard –that is what it is all about. It is not about the glamour and it is just about getting in and doing the hard work which I love doing. Let’s talk about that bigger picture. What do you see? I would love to teach trainers how to take Ludus classes. I would love to get a Ludus certification going. I would love to have a Ludus gym in every Super Rugby franchise. Rugby was a big part of my life and I’d love to have a Ludus setup in every franchise that caters to a community of likeminded people, like the ones that train down here in town. I would love to push the online stuff and the PlayStation project is a step in that direction. It is a holistic approach to training that we have here at Ludus, which is your nutrition and the stretching and the rehabilitation and prehab and all of the stuff that goes with keeping longevity in training. But you know, in terms of the physical side, there is a lot of character development that goes on at Ludus as well. We just try to offer a training programme where people are pushed and they have to, I guess, find out things about themselves that they didn’t know before and you can’t really do that if you are not being pushed. People will come here and there is all shapes of sizes that will come down to Ludus and grow – like just find out things that they never thought they could do and push themselves beyond barriers that they never thought they could. We just provide a training facility that allows them to do that – not in a threatening or a stand over kind of way, but in an encouraging and welcoming way. That is one thing that I really wanted to do when I got injured, because I know when I went through the dark periods of a career-ending injury and having to train by myself because I didn’t want to be around people I knew, there was a way that I could show people – hey, there is a way that you can do this with support and you don’t have to go to a gym where there is noise all over the place and people are looking at themselves and judging you. You come in here and you work hard and no one is going to care about what you look like, it is just about sharing that common goal. I want to come in and I want to get better. That is what Ludus is about. Talk a little bit about that philosophy, because I noticed that there are no mirrors. Was that a conscious thing? Yeah, yeah. It always has been. It has always been a conscious thing. Probably first because we couldn’t afford them at the start and we didn’t have a lot of gear, but it always has been. Like I used to train in gyms like conventional gyms with the weights and machines and everything. You would spend a lot of time just walking past the mirror and looking at yourself. It is just a natural thing to do. You can look, but what it does is create this distraction in your head from what you are there to do, which is to work hard. That distraction becomes about what you look like and it is not about that at all. It is the end product. The project is what counts and going through that process and growing from the process and realising – hey man, I can do this today, I can do this tomorrow and in a weeks’ time I am going to be here and when I do look in the mirror at home I’m going to fit those jeans nice or I’m’ going to look better in that t-shirt and I’m not going to waste time at the gym trying to look at myself and look around the gym – oh far, I shouldn’t have worn those shorts today. That is just the main thing of why we didn’t want to have mirrors in the gym. I just wanted to avoid the distraction and it is just a mental thing. It is those little things that just trigger states of mind and when you are training you just need to focus. I think it is being welcomed into a community. 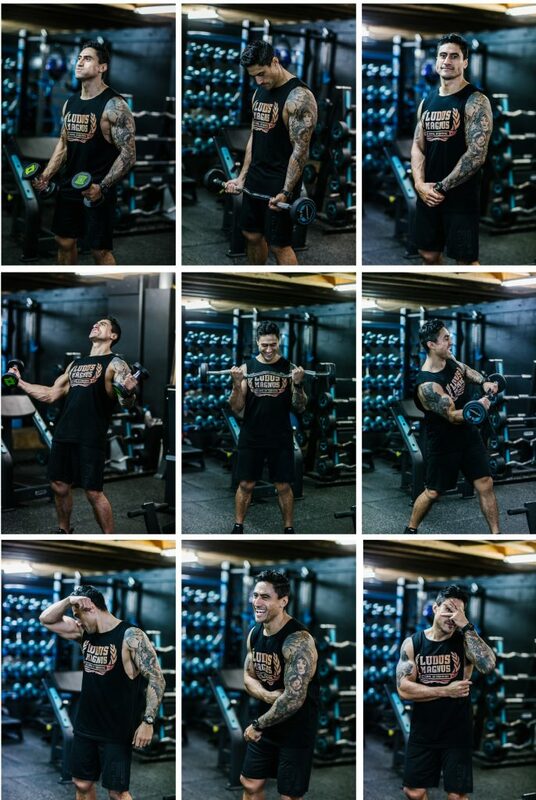 For someone that possibly – and this is a lot of the reason why I set Ludus up is because I wanted a place where people who didn’t necessarily like gyms could come and feel welcome. I see guys come in and if you saw them on the street you would swear that they’ve never been to a gym in their life, but if they come in here… and I’ve had a lot of times when they’ve come in and we’ve had teams like the All Blacks come in and train. The All Blacks will be training next to them and these guys are killing them. These guys are accountants, lawyers, house husbands staying home with the kids and come in during the day with the kids sitting in the cot, and they will be smashing it. You have got the likes of Sonny Bill and all these guys coming in and training next to them and they are battling away, but these guys – this is their place where they get to go, OK this is my home man, I am the king in here! You might wear that black jersey or that representative, but this is where I can show my wears. I think that is what draws people to Ludus, it is a levelling ground. It brings everyone onto the same playing field. For the non-gym types, that is all they need. That little motivation – I can compete. There is probably a million excuses that someone could come up with for not looking after themselves. But time is a big one. What sort of time makes a difference? I guess it is the discipline and a routine. If you set yourself a routine of – hey 9 o’clock every morning I’m going to stop my work and whatever I’m doing and I’m going to do 15 minutes of anything – whatever. It might be 15 minutes of push ups, it might be going for a walk. It is just moving more. We are starting a class here at Ludus – for years I was trying to figure out how I can involve beginners. The thing about Ludus, when I set it up, it is super hard – high intensity, but it has the potential for anyone to be able to come in. You can work at your own pace. But trying to tell someone that they can is another story. So I have always tried to set it up so that beginners feel welcome and it is hard because people don’t like being called beginners. Even if you are a beginner and you have done this sort of stuff before, you just don’t like being labelled a beginner. So the Move More class we set up was set up so that we could help people just get off their butts and come into the gym. It is a really low intensity, fun work out. I think that is the key – making it something that is fun. Just, I guess, setting yourself the target. Setting goals is important. Setting the goals of maybe 15 minutes a day. You know it is just anything – anything that gets you moving more – walking, push ups, squats, sitting on a bike, getting out and doing things. If you just build that up every day – 20 minutes the next week, or two 15 minute slots in a day – one in the morning and one in the afternoon. I understand completely that time is a massive factor. People don’t have a lot of time but there is no excuse if you set yourself up with a routine and you have a plan. Most of our stuff we do, you can do in your lounge – you don’t need a lot of space. But it is just setting yourself a routine and making sure you stick to it. How many hours a day would you train yourself? I take a lot of classes and I teach a lot as well. I am quite active when I teach as well. I try to train at least 3-4 times. Like 3-4 Ludus sessions a week. But like I say, I’m pretty active. Mon and I will get out and do a lot of stuff – go walking and bike riding and things like that as well. They may not be the conventional forms of exercise, but they are moving. That is all you have to do at the end of the day is just get moving. But yeah, maybe 3-4 times a week I will try to train. 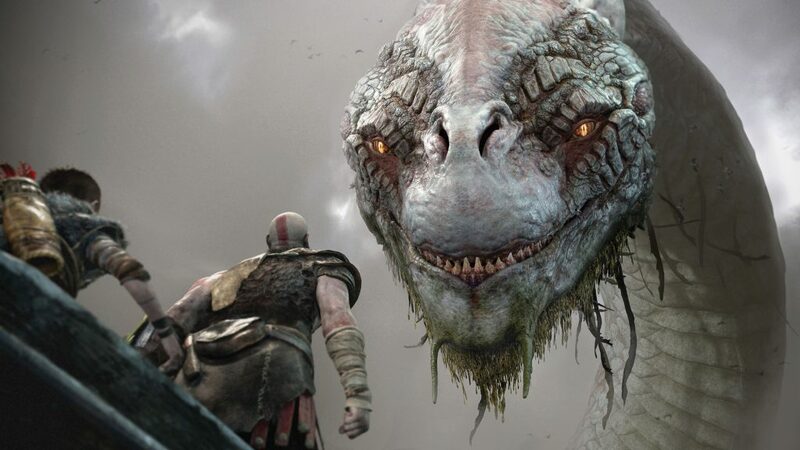 How did the PlayStation God of War connection come about? I am a big PlayStation fan. I love PlayStation. The thing is when I was growing up I couldn’t afford a lot of the games, so we would be outside playing. I reckon that is the best lifestyle for a kid growing up, getting outside and running around the street on your BMX around the hood in Otara. It wasn’t that we like missed out, but we just never had games when I was growing up. So when we could we had PlayStation and that come through and I got old enough to be able to get my own and that. I enjoy it. The games are crazy how good they are these days. 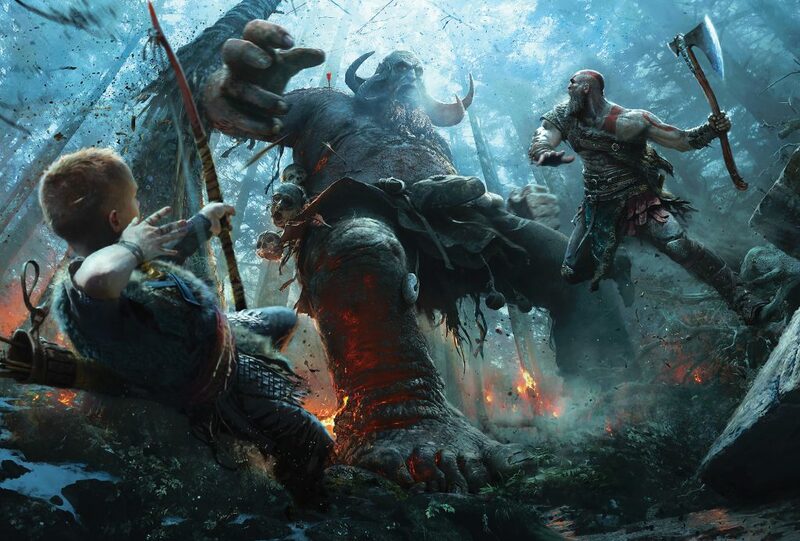 For me, I was a big fan of PlayStation and we got approached to run a work out series for their new game – God of War. That is one of my favourite games. It is kind of ironic, because gaming is seen as a bit of a sedentary thing but that could be a gateway for people into fitness. Definitely. Anything that gets people off the couch. I mean, there are games aimed at doing that – fitness games. But yeah, I think it is a good marriage between gaming and work outs. It is a good cross over there. So in terms of the online space, apart from this have you explored other areas around that in terms of being able to reach people? We have an online programme that we offer that you can do in the comfort of your home – we have a six week shred, and we tailored it to the RMB, shredding for rhythm. We have got people shredding for rhythm. It is a six week programme with daily workouts and recipes. We have got an app that we are just about to release on the Apple App store, which is called Fit Five. It is just five minute blocks. We were talking before about having a plan and what you can do – this is an app that has five minute blocks of work outs that you can do anywhere. It has a timer on it, it has the display of the actual workouts on it and the exercises, and you can chuck more blocks of five minutes on the fitter that you get. So that is another foray for us into the online area. I guess it is just trying to offer things that make it easier for people to work out. It is just that convenience. Definitely. I have got a son, Freddy who is 9, and a daughter Eva, who is 11. They both love the gym. The beauty of the way that we train is like kids can do it. It is a really safe way to train. Most of it is really natural body movements and they love Ludus. My girl sits on the desk and she helps out with the admin side of things. I mean, they are going to go off and do whatever they want to do. My girl wants to be a journalist and my son wants to be a keyboard player and an artist, but I mean I would love for Ludus to last the years. I have put a lot of my blood, sweat and tears and a lot of my personal journey is Ludus. If it can survive the years I would love to carry it on as a global brand as well. I would love to push into Asia, particularly, and Australia with the video work outs and things like that. It is a brand that I love and I would love to see it stand the years. You are a mix of a few cultures. Tongan, Samoan, German. Is there one that you feel you most align with? I guess I am probably more than anything is with my Mum’s side, which is Samoan. Mum is Samoan German. I am a bit of a mama’s boy and, you know, my Mum is like a bit of a rock. She is a tough old bird and I guess she has kind of taught me most of my lessons. My Dad is Tongan. Yeah, I guess it is my Polynesian side that I would probably identify with the most. I haven’t spent a lot of time back in the Islands, but it is something that I love to do and sort of get to know a bit better. So is that part of the future? Part of the journey. Yeah. I would love to maybe one day be able to take the kids to the islands. Mum and Dad did move back to Tonga for a little while there and they ran a steak house in Tonga. Jo Boy Steak House. They were there for four years or so before they came back. I was playing rugby in the UK at the time. Yeah, it is a journey I guess like anything in life. The right time and place. Best piece of advice, and probably the simplest, is just to believe in yourself. My Mum always told me that from a very young age – just believe in yourself because no one else is going to! Harsh words, but I guess at the end of the day if you are down on your luck or, you know, if you have nothing else but yourself then you have just got to believe in yourself and believe and have faith that you can achieve what you have set out to do. I have always tried to stick to my goals and work hard to achieve the things that I feel are my journey and my goals on my journey. Just self-belief, I guess.